Cardiff is such a great city when you have a family. It has all the conveniences of a capital city but is small enough to get around easily. 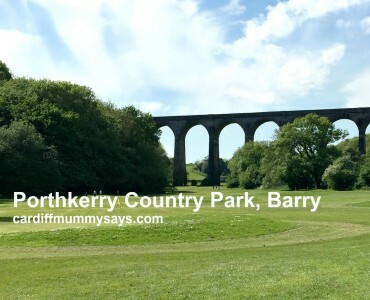 It has so many fantastic family attractions – many of them free to visit – as well as plenty of green parkland too. 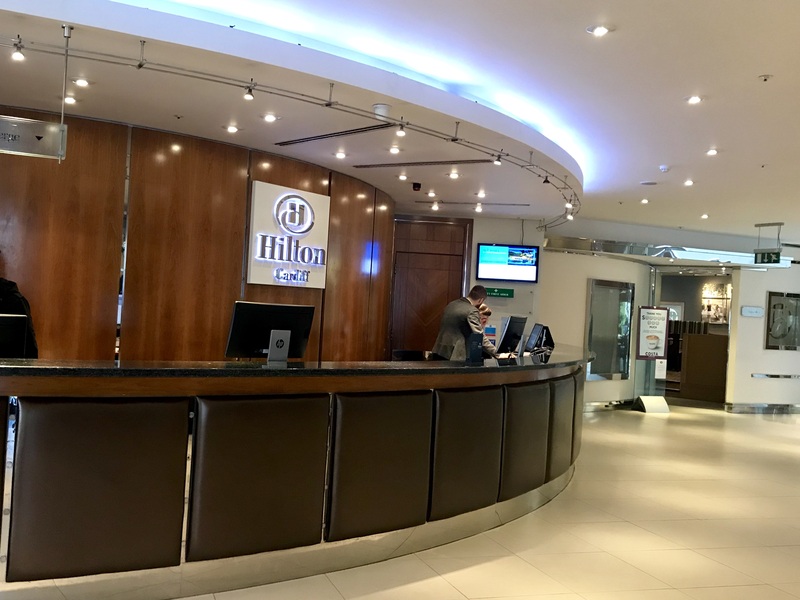 We love living here but at the end of last month we had the opportunity to be tourists in our own town, thanks to Hilton Cardiff who invited us to stay for a night at their four star city centre hotel. Located on Greyfriars Road and in close proximity to the shops of Queen Street, I must admit it’s a place I associate with the business meetings and after-work cocktails of my pre-children twenties. 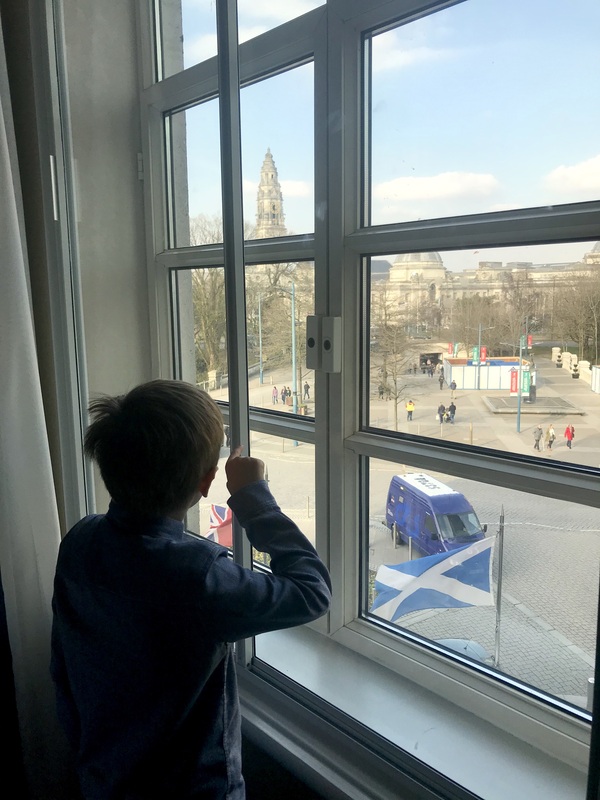 I’m often getting messages from people visiting Cardiff asking for recommendations on places to stay – so I was interested to put it to the test and see how it fared as a family destination for a break to Cardiff. We arrived at around 10am on the Friday of half term. Check in is from 3pm but the hotel will look after your bags if you want to spend time in the city centre beforehand. Parking in town is never cheap but the hotel offer it at £25 per night – and the valet service means they will even take your car from the front of the hotel and park it for you! We loved being right in the centre of the city. 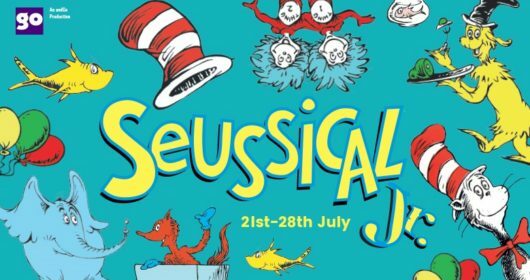 We saw a show at the New Theatre which was a two minute walk away; we explored Cardiff Castle and Bute Park which are opposite the hotel; we headed across Queen Street to St David’s Shopping Centre and in particular Smiggle so my children could spend their pocket money; and spent an hour or two at National Museum Cardiff. It was so lovely being able to walk back to the hotel within minutes of anywhere we went. We were booked into a junior suite which cost around £150 per night. We’ve stayed in family rooms previously where it’s been a case of beds for five squished into a small space and not much else. But at 36 sq m, this room was lovely and spacious and we never felt like we were getting in each other’s way. One side of the room had a king-size bed adorned with pristine white bedding and plenty of pillows. The other side had a double sofa bed and one single pop-up bed for our children. In between was a 32-inch television. 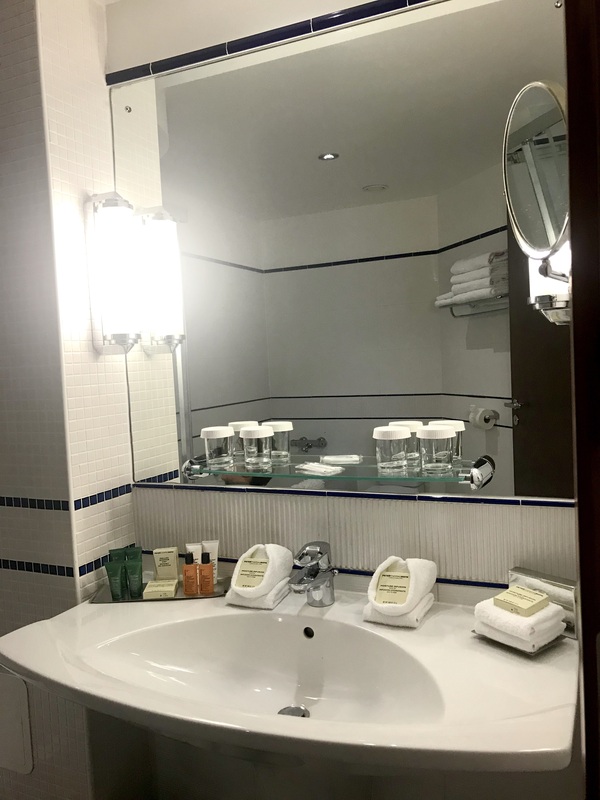 The en-suite bathroom featured a separate bath and shower cubicle and plenty of soft white towels. Complimentary slippers and toiletries were also provided. 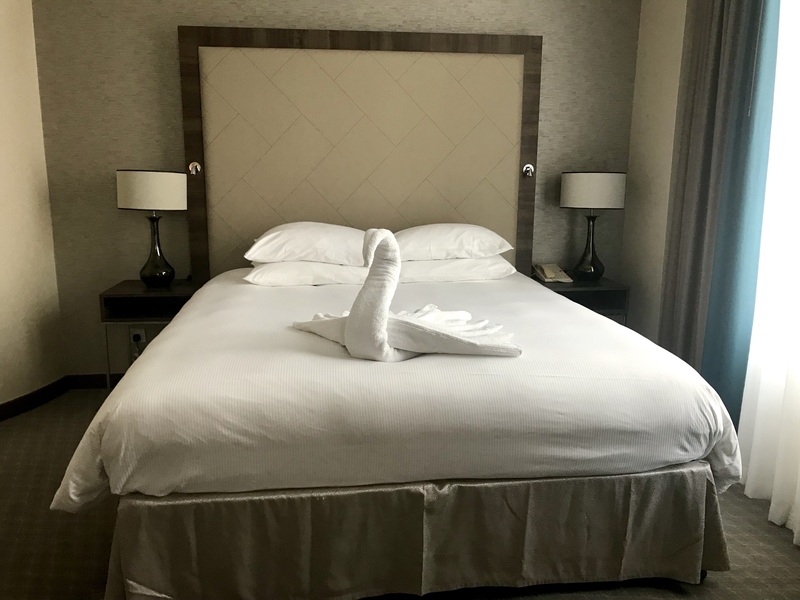 We were all impressed by the towel art, with elephants, swans and other creations decorating the bathroom and the beds. My children were excited to see the colouring books pencils and bag of sweets left on their beds. And this was on top of the goody bag given to them at reception which included a map of Cardiff, an apple, a cookie, some sweets, and a small colouring pad and pencils. 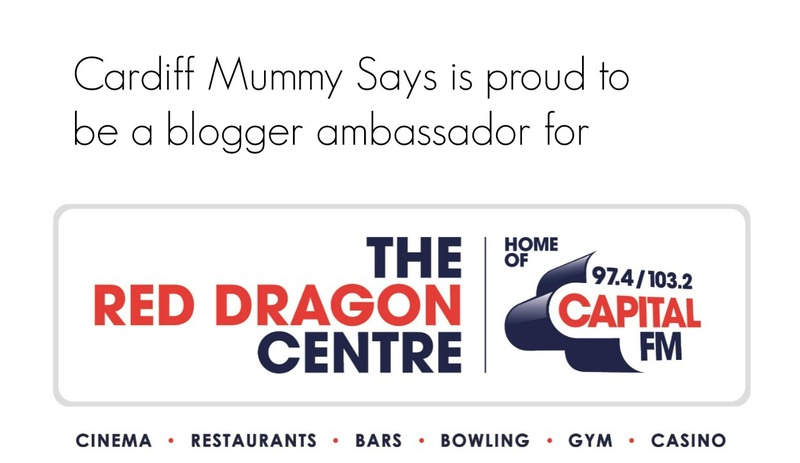 For a hotel I mostly associated with business and rugby it was great to see children being welcomed so openly. I had worried it would be loud at night given it’s on a busy main road. But it really wasn’t. We heard some people returning to their rooms in the middle of the night but that would be the same wherever you go. The traffic and general city centre noise wasn’t an issue at all. The thick blackout curtains also meant the room was lovely and dark and we all slept really well. 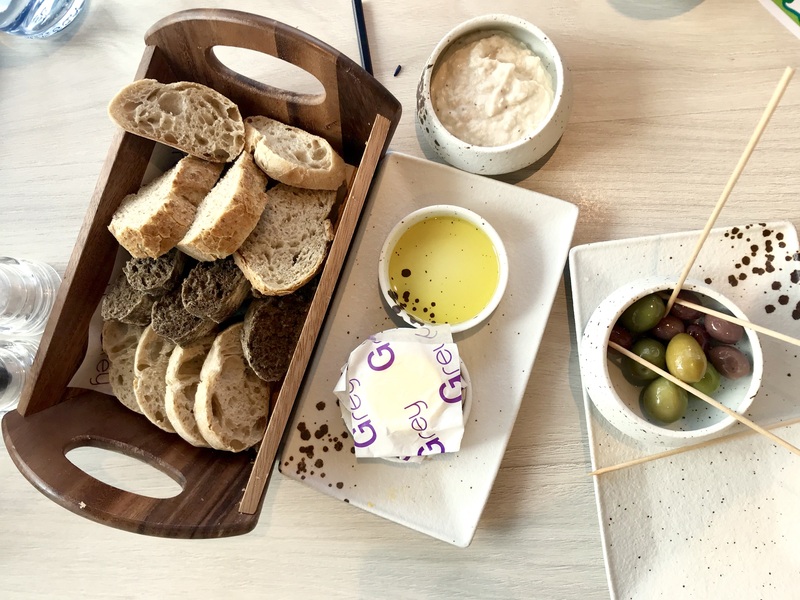 We were so impressed with our lunchtime meal in the hotel’s contemporary restaurant Grey. The children’s portions were very generous and the prices reasonable too – £5/£6 for good-quality freshly made food including pizza, burgers, salmon and lasagne. 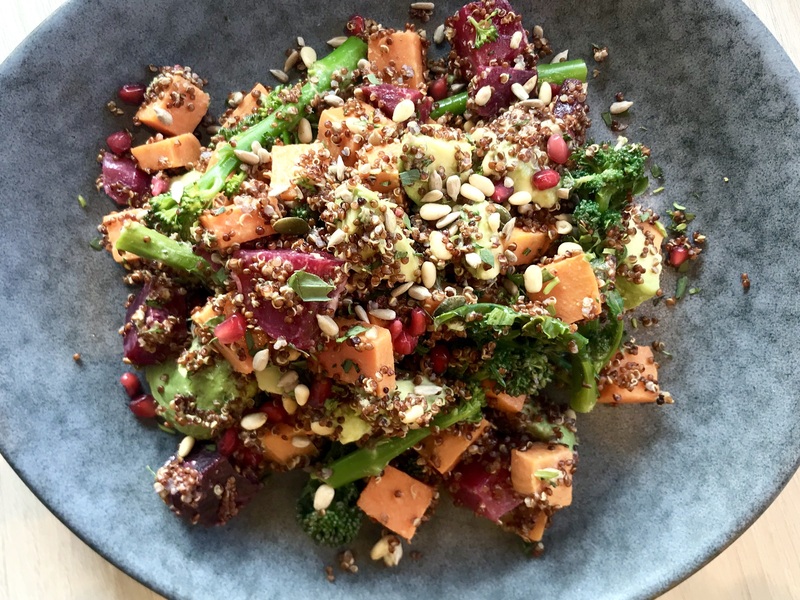 There were good vegetarian, vegan and gluten-free choices – and the staff were so helpful and accommodating. As with the bedrooms, you couldn’t hear a thing through the thick glass windows and the low-level music made it feel so relaxing. 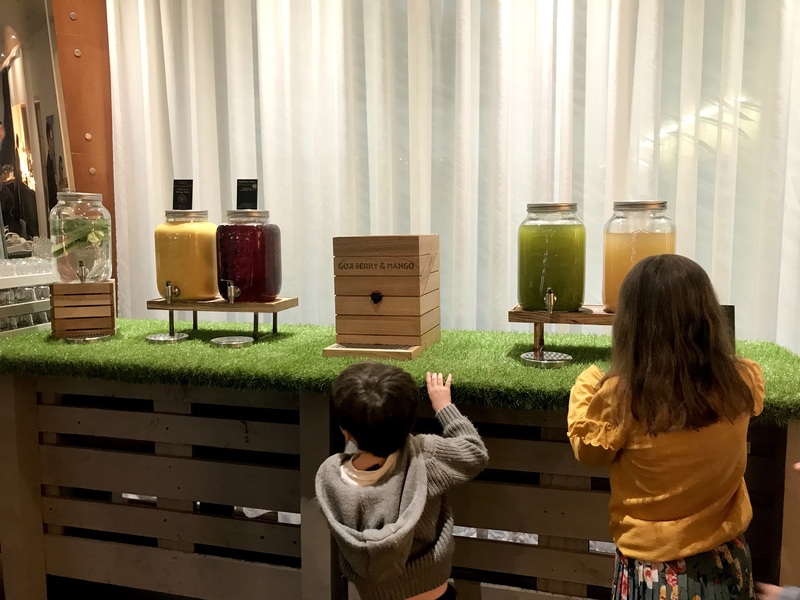 I would never have thought of dining at the Hilton as a family – but it’s definitely on our radar now with great-tasting fresh food at good prices. You can read a full review of our dining experience here. 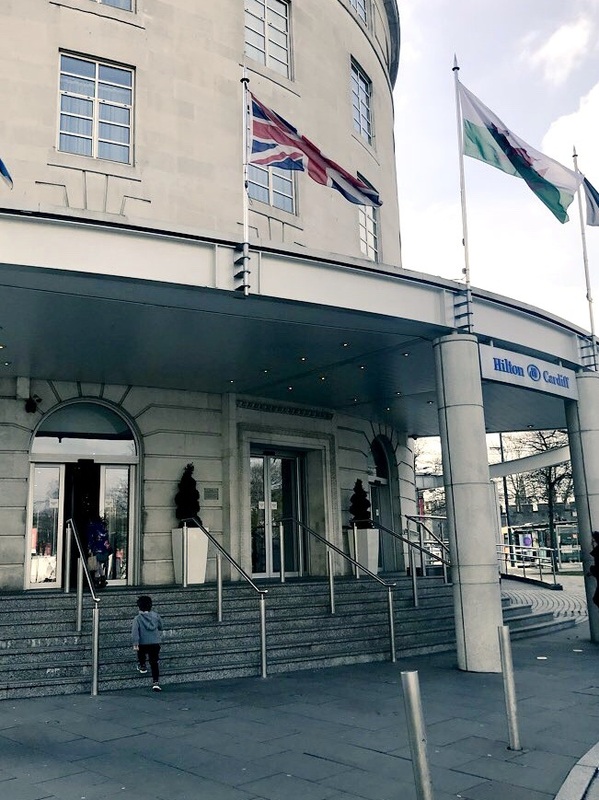 If you didn’t want to dine at Grey, the location of the Hilton Cardiff makes it perfect to access any of the numerous city centre cafes and restaurants. 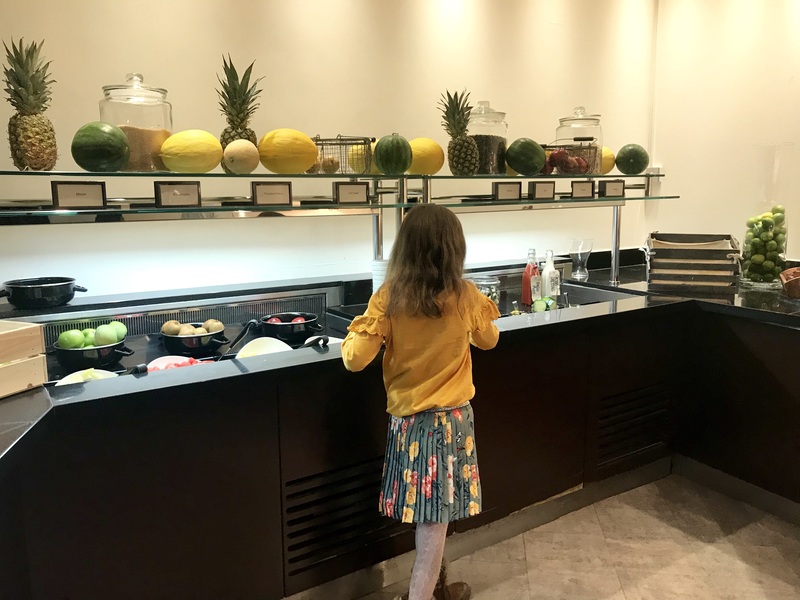 Cardiff Daddy always says one of the best things about a hotel stay is the breakfast – and the Hilton Cardiff didn’t disappoint with its plentiful self-service buffet offering. Served between 7am and 10am, we headed down around 8.30am and were shown to our table and orders taken for teas and coffee, including a good selection of herbal teas. Food available included a full English breakfast with sausages, bacon, eggs, baked beans, black pudding, mushrooms, tomatoes, and hash browns; as well as cereal; pastries and various styles of bread and self-service toasters; fresh fruit nuts and seeds; a make your-own pancake machine; a continental breakfast option of meats and cheeses; plus several fruit juice options. Children also have their own breakfast station with toppings to decorate pancakes; indulgent cereals such as Coco Pops; and colouring pages and pencils. Staff were great at topping up anything that was running low and we never really had to wait for anything. They even brought me avocado to go on top of their delicious rye bread. 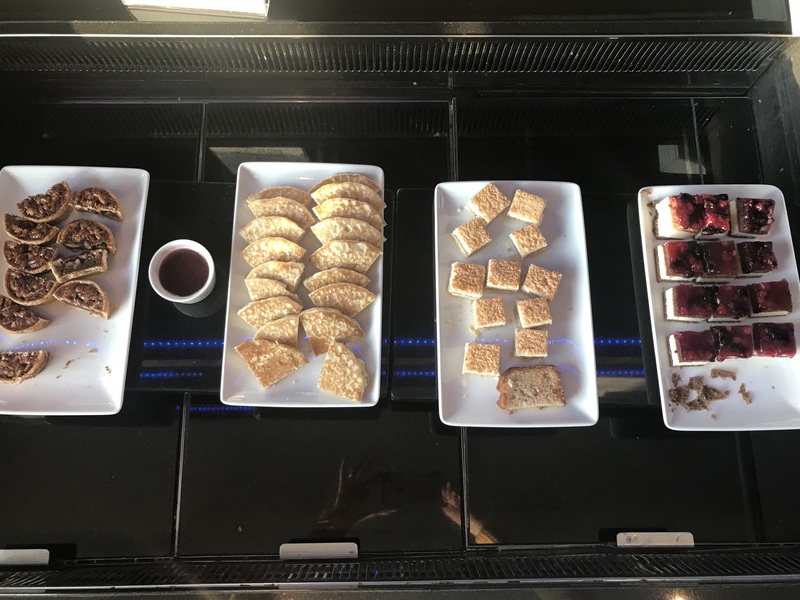 We were kindly given access to the Executive Lounge, which is available to hotel residents staying in executive rooms and suites – and what a lovely treat this was! 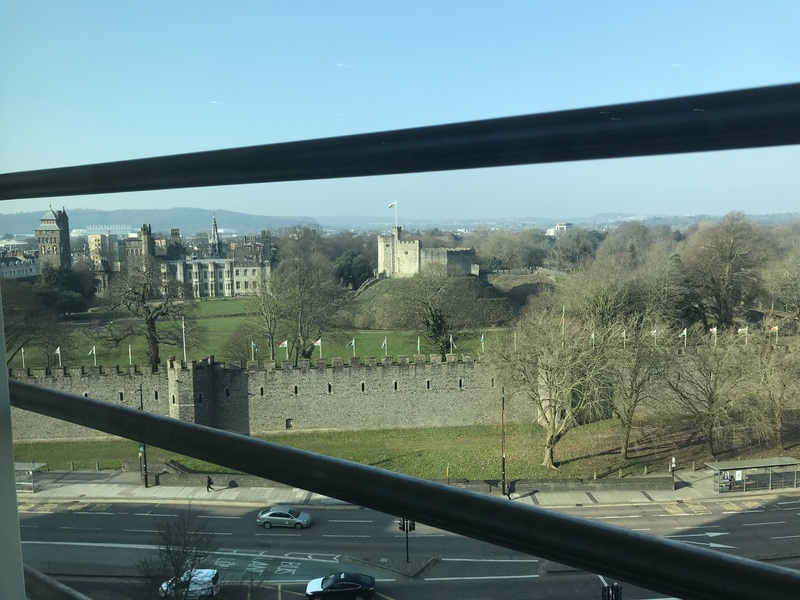 Situated on the seventh floor, the executive suite has the most wonderful views across Cardiff and into the castle grounds. Here we were served complementary drinks and cakes in the afternoon and wine, beer and canapes in the evening. It was such a lovely experience and if you’re staying with a partner or friends a great way to pass those couple of hours in the early evening before you head out for dinner or drinks. In our case it was great to ensure the children didn’t get cabin fever from staying in one room. 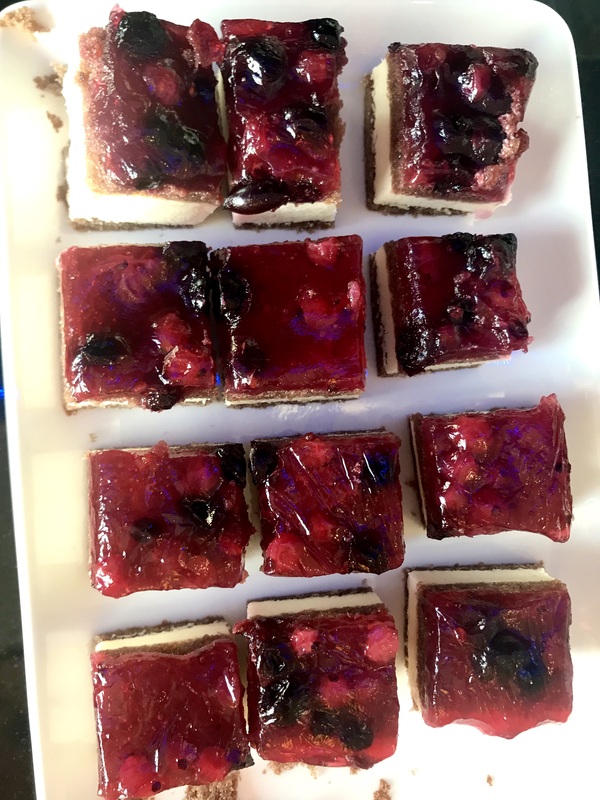 My children especially loved the miniature cakes served in the afternoon while I really appreciated an evening glass of wine overlooking the castle as the sun set. My children would have been quite happy to spend the whole weekend in the swimming pool. The leisure club is home to a 20 metre pool, steam room, sauna and a spa pool. The pool was lovely and quiet when we visited on the Friday afternoon with no more than four or five other swimmers. 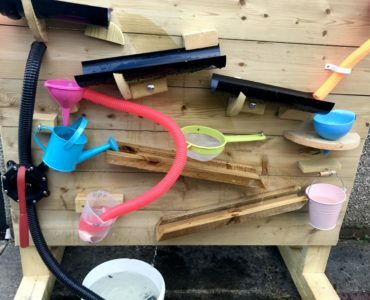 There were a few floats and noodles available which my children made use of. There are steps into the pool but as is common with hotels there isn’t a shallow area so children do need full supervision. 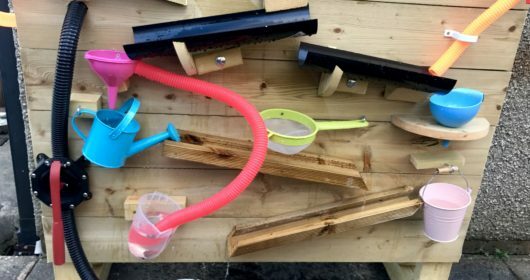 Our three have been going to weekly swimming lessons since they were babies but we don’t often go swimming as a family – so they were happy swimming around in the water without the structure of their classes. The changing rooms are slightly on the small size and with no individual changing cubicles – but again they were really quiet so it wasn’t an issue for us. Towels were provided; the showers were hot; there were hairdryers to use and plenty of lockers. On the Saturday morning I used the gym and was pleased to pretty much have the place to myself. The running machines, bikes and weights were all easy enough to operate and the staff were happily on hand to offer any support. Living in Cardiff ourselves, staying at a hotel here is a real treat. It was so lovely to be able to see our city through the eyes of visitors. The location makes it perfect to explore Cardiff – you can access so much on foot and without having to trek great distances too. The hotel is a short and walkable distance from Cardiff Central train station. The staff made us feel so welcome – even the ones who didn’t know we were on a review trip. In particular they made the children feel special with their welcome packs and a quality children’s menu in the restaurant. 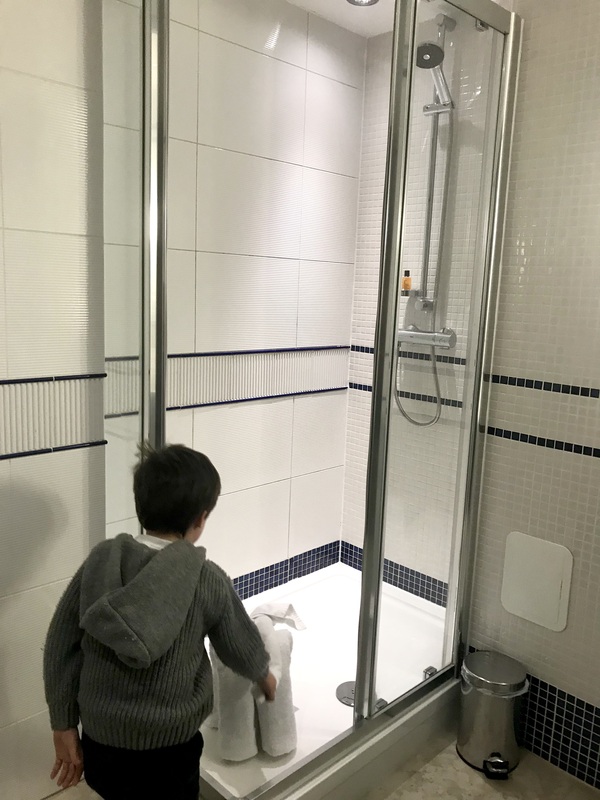 For me that’s one of the most important factors when choosing a family break – that the place you are staying in makes your family feel welcome. Thanks to the Hilton Cardiff for making all five of us feel very welcome indeed. 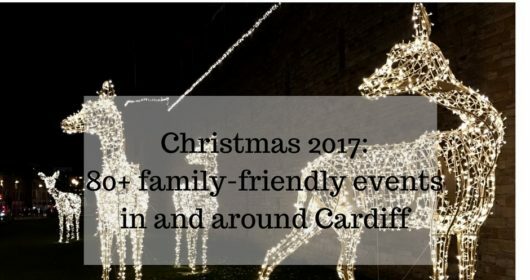 We had a fantastic stay and would definitely recommend is as a base for families visiting Cardiff. Visit the Hilton Cardiff’s website here; follow then on Facebook or Twitter. 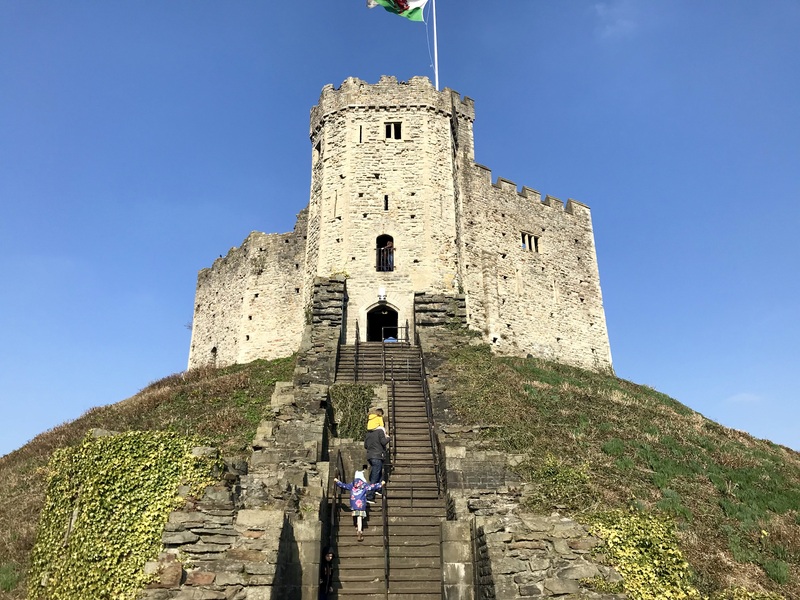 We often go on staycations in our hometown London it really is such a lovely experience and it looks like you had a lovely time being tourist in your hometown of Cardiff too! It was so lovely being able to go back to the hotel after sight-seeing. A real treat for us! 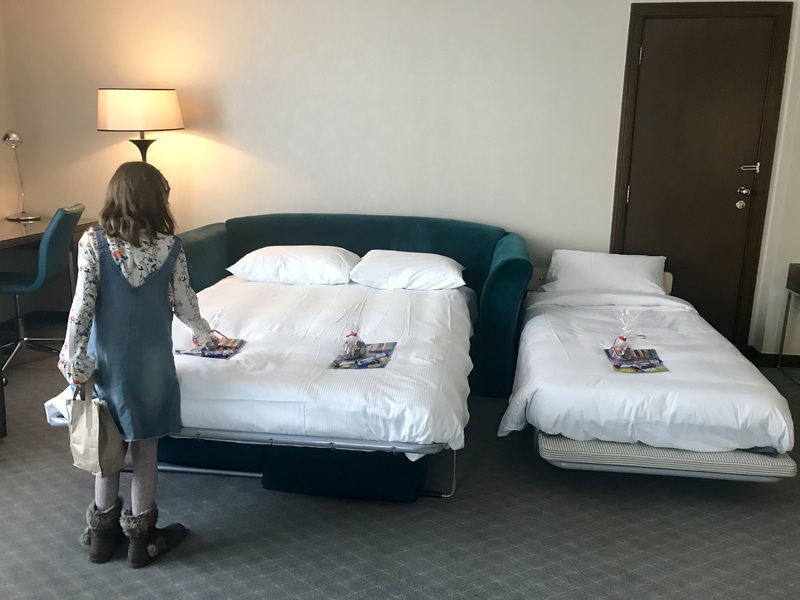 We were so pleased to see how big the room was compared to some ‘family’ rooms we had stayed in! That suite looks fabulous and super spacious! 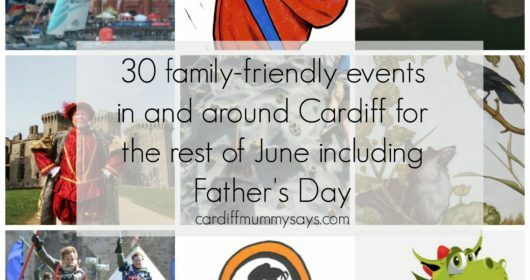 Have never been to Cardiff before but your pictures made me want to book in a trip to explore! Wow what a beautiful room and location. 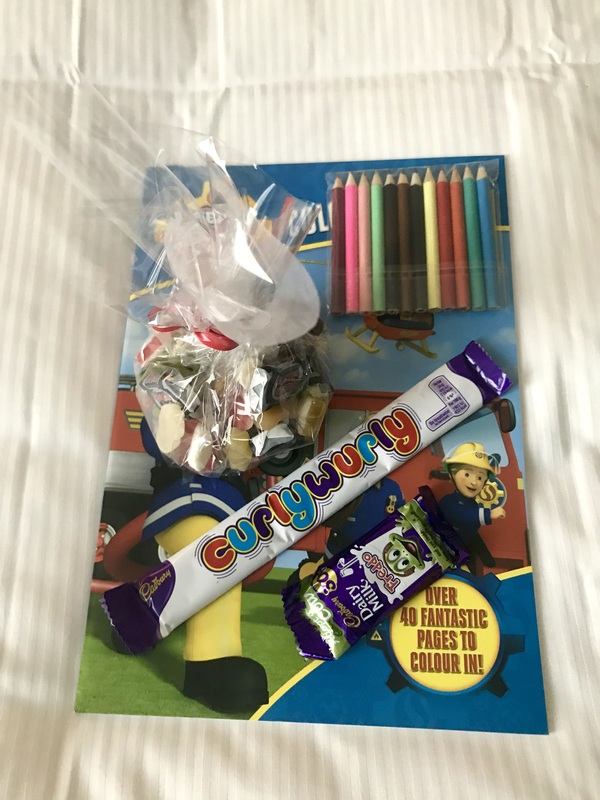 Loving the children’s welcome pack….I might have squirrelled the edibles away though as I love them!!! So often I’ve passed the Hilton on foot or in the car and I’ve often wondered what it was like inside and as a hotel. I wonder no more. It looks fab and it sounds like they really looked after you all. 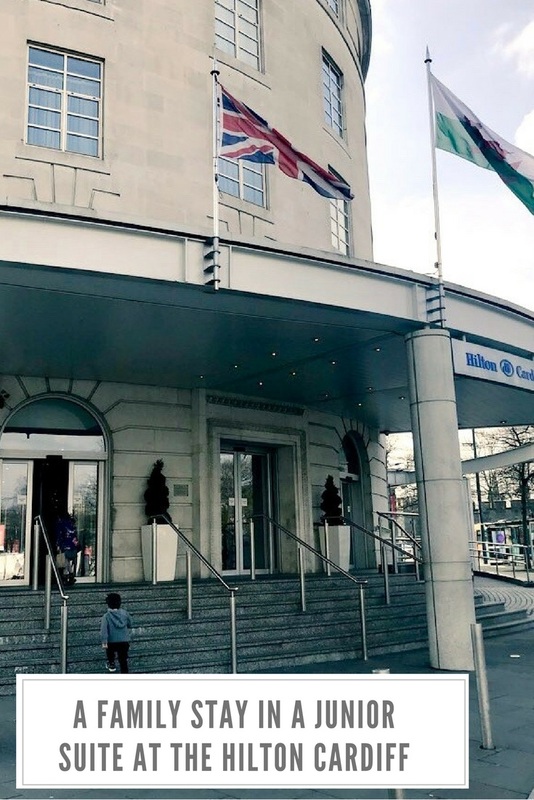 I have stayed at Hilton Cardiff before. It was a few years ago and I loved it. It is a family friendly hotel for sure. It sounds and looks lovely! We’ve only visited Cardiff once but would love to go back. We’ve only ever come to Cardiff to see a show and haven’t explored it. This looks a lovely hotel to stay at. We must plan a trip! In your hometown or not, it is just nice to stay at a hotel and not do any chores like preparing food in my opinion. The breakfast looks very nice! They always have nice hotels. Awww looks like you all had a wonderful time, the shower looks amazing and the food looks delicious. We’re not actually that far from Cardiff would love to explore a bit more one day. Everything looks great here, love the kids space to sleep. Breakfast was huge too!